If you are like many injured workers in Georgia, the insurance company for your employer will most likely dispute your right to workers’ compensation benefits. This is especially true if you were seriously injured and must take off months or longer from work while you receive the medical treatment you need. However, you do have the option of fighting for the benefits you are entitled to. Your claim must be filed with the State Board of Workers’ Compensation. Attorneys are now required to file claims electronically. Once this is done, your case is put into the State Board’s system and your case is assigned a case number. Workers representing themselves can obtain a form to start their claim and mail in the completed form to file it. The next phase of your case is the discovery process. This is where your attorney and the attorney for the workers’ compensation insurance company obtain information helpful to their own case and learn about the other side’s claims. In most cases, the attorneys send written questions called Interrogatories to each other for you and your employer or the insurance adjuster to answer under oath. The attorneys may also send out requests to you, your employer, and third parties for the production of certain documents. 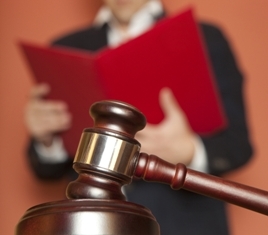 In addition, the attorneys will schedule depositions in your case. These are legal proceedings held in the attorney’s office during which he asks questions under oath. A court reporter transcribes the answers and later produces a written transcript that can be used in court hearings. Besides you, your medical expert, the insurance company’s medical expert, and other experts in your case will most likely have depositions taken. Discovery is a very important part of your case where your attorney will determine the strengths and weaknesses of your claim and how much he realistically believes he can settle your case for. Before your case is scheduled for hearing, you and the insurance company will have the opportunity to request alternative dispute resolution. This is a procedure where the parties and their attorneys meet in an informal setting with a neutral arbitrator to discuss the issues in a case in an attempt to settle the case without the need to attend a hearing. Your attorney can advise you about whether it would be beneficial for you to request this. Many workers’ compensation cases settle after a claim is filed but before the scheduled hearing. If your attorney is able to negotiate a settlement for you, a written settlement agreement called a Stipulation and Agreement would be signed by the parties and filed in your case. If the settlement is just about one disputed issue, like a change in physician, the agreement would still be in writing and filed in your case but would be called a Consent Order. If you are unable to settle your case, the State Board will schedule a hearing and notify all parties of the date and time it will take place. A hearing is similar to a civil trial and is conducted by a Judge of the State Board of Worker’s Compensation. You will need to present documents, witnesses—including yourself—who will testify, and any other evidence to support your claim for benefits. The insurance company will have the opportunity to present similar evidence, and each side can cross-exam the other party’s witnesses. After the hearing, the Judge will issue a written decision on your claim, and his decision will be mailed to the parties to the case. If you do not agree with the Judge’s decision, you have the right to appeal the decision to the Board’s Appellate Division. You must file a written appeal within 20 days of the date of the order or decision. The attorneys for each side write a legal brief, which is a document that states the facts and law that supports their position, and file it with the Appellate Division. If a party requests a hearing, one may be set where each side presents oral arguments. Otherwise, the Appellate Division will consider the briefs and evidence and issue a written opinion. What Are Your Rights and Responsibilities in Your Workers’ Comp Case?